Andrew (Andy) is uniquely qualified in Dentistry, Oral and Maxillofacial Surgery, Dental and Maxillofacial Radiology and General Radiology. He completed his undergraduate dental degree with honours from the University of Birmingham in 1975 and graduated from the University of Wales Medical School in 1982, being awarded the Gold Medal for top undergraduate candidate from both Universities. Before commencing radiology training Andy worked in general dental practice and undertook 3 years training in oral and maxillofacial surgery in Wales, London and San Francisco. 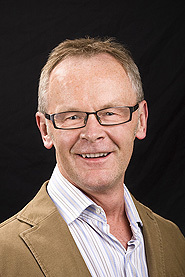 He commenced his radiology training in Wales in 1984, and was the first candidate to obtain the Diploma in Dental Radiology of the Royal College of Radiologists in 1985. He undertook a MRI fellowship at UCLA and completed his radiology training 1989 when he moved with his family to Adelaide, South Australia. Andy held several Senior Consultant and Visiting Specialist Radiologist positions at all the major teaching hospitals in Adelaide including Radiologist to the Head & Neck Cancer Clinic at Royal Adelaide Hospital and the Craniofacial Unit at Adelaide’s Women’s and Children’s Hospital. He also worked in private practice. He moved to Western Australia in 1998 and joined Perth Radiological Clinic as a Partner. He was also a Visiting Radiologist at Royal Perth Hospital until 2002 and Radiologist to the Department of ENT and Head & Neck Surgery at Sir Charles Gairdner Hospital until 2010. In 2006 he was made Clinical Associate Professor to the Departments of Surgery and Pathology at the University of Western Australia and the Lions Hearing Institute. Opaque Maxillary Antrum: A Pictorial Review. Whyte A, Chapeikin G. Australasian Radiology 49(3): 203-213, 2005. Dental Panoramic Tomography: An Approach for the General Radiologist. Boeddinghaus R, Whyte A. Australasian Radiology 50(6): 526-533, 2006. Magnetic Resonance Imaging in the Evaluation of TMJ Disc Displacement: A Review of 144 Cases. Whyte A et al. Inst. J. of Oral and Maxillofacial Surgery 35(8): 696-703, 2006. Current Concepts in Maxillofacial Imaging. Boeddinghaus R, Whyte A. EJR 66 396-418, 2008. Ultrastructure of the Cochlear – evaluation by 3T MRI. CBCT: Imaging Guidelines and Accreditation. MSc Thesis in conjunction with Dr J P McInerney, University of London, UK.